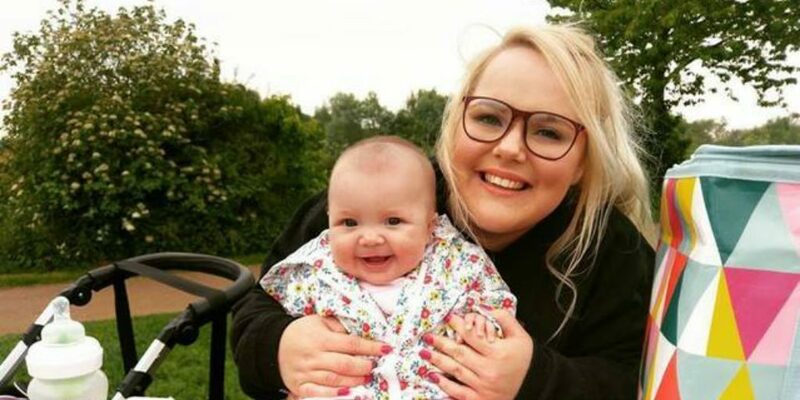 Sophie, young mum to Rosie, talks about her three biggest challenges she’s faced as a mum. Becoming a mum is amazing, you get to bring up this little person who you created and everything is peachy, right? You’ll know exactly what to do from them ‘mother instincts’ everybody tells you you’ll get and your baby will be an angel forever more. As we all know this is not always (hardly ever) the case. It really is amazing, but sometimes it’s just so amazingly hard too! Much like life, parenting throws challenges at you left, right and centre from the moment your little munchkin is born and the hardest part of parenting is facing them head on, overcoming them and ultimately becoming a stronger parent and person in the long run. They come in many forms, practical, physical, emotional! It’s just a juggling act of challenges. Rosie (my little one) was severely unwell at birth, and I’d never given any thought at all to being a mother to a poorly child, especially from the word go. How I felt and how I dealt with that, which was by a long mile the worst experience of my life is a whole other post, which I will write about on my own blog, (if you would like to check that out!) and anyone who has had a child in hospital knows the feeling. However, any type of child illness, whether it’s a simple cold that keeps a baby up at night or something more serious, it adds it’s own layer of difficulty and fear to parenting. ‘When should I call a doctor? Am I over reacting? Am I doing all I can to soothe my poorly baby?’ Nothing is more terrifying and really puts everything into perspective. It is an ongoing challenge for me to not over react and to stay calm in the face of her being poorly. I feel like five minutes ago I would rely on my own mum to help me when I’m ill, now I have to be the responsible mother who knows how to make it all better! For instance, with my little one it was feeding. Yep, something so easy as Rosie sucking on her bottle and drinking milk became a mammoth task. When I was pregnant I brought Tommee Tippee bottles because they seemed to be everywhere (and they had a pink pear on, so cute) and I never gave a second thought to the fact the watermelon in my belly might not like them. Due to complications at birth, Rosie fed mostly via tube for the first 10 days of her life. Once home her main issue was wind. A windy baby is not a happy baby! I’d spend hours searching online for different burping techniques, researching medicine that can help and all my Youtube favourites are now baby massage technique how-tos. Certain burping techniques worked better for her, and we eventually changed her milk and used a different combo of wind relief medicine. After all this she seemed more settled and happy, but it’s been quite the journey to get there! My biggest tip with difficult feeders (or sleepers etc, whatever it is for you) is to not get disheartened. There will be times you feel like the only parent going through this, or where you just don’t know what else you can do to help them, but the most important thing you can do is stay positive. Keep trying new things and eventually before you know it your baby will change as she will pop them burps out herself playing on the floor! Social media is very much alive in the lives of young people everywhere, and that doesn’t just stop when you become a mother. Instead of looking at peoples Saturday night outfits I spend my time looking at mum blogs and following mums on Instagram. Although it is amazing as it enables people to connect as young mums, you soon realise that everyone has different ideas on the best way to do things. It’s not just social media but real life also. It can be hard not to compare and question yourself, but it’s something that as I grow more confident in being a mother, I’m finding much easier. Breast/bottle, baby led/spoon weaning, soother/no soother. It can seem that there is a debate to everything. The most important thing I’ve learnt is that as long as your baby is loved and safe there is no right or wrong way! You just have to do what works for you and what gets you through each step of the way of this crazy journey! If you’d like to share your experiences or story, we’d love to hear from you. Feel free to contact info@littlelullaby.org.uk and one of the team from Little Lullaby will get back to you.